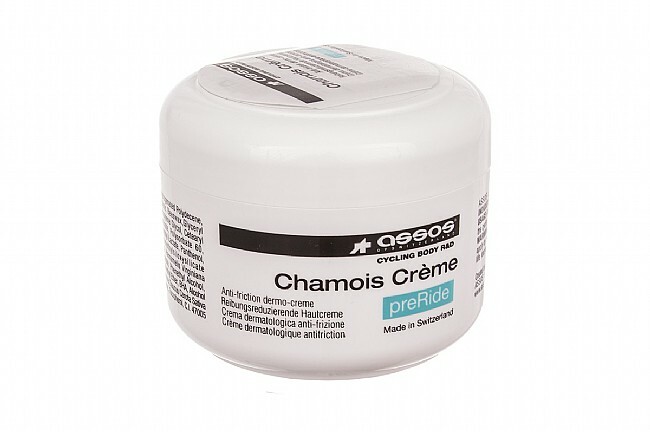 Beloved of pros and recreational riders alike, Assos Chamois Creme softens the chamois and prevents chafing. Non-greasy and non-staining smooth white cream easily washes out in the laundry. Can be used with natural and synthetic chamois. Gentle menthol cooling effect. 140 ml jar.